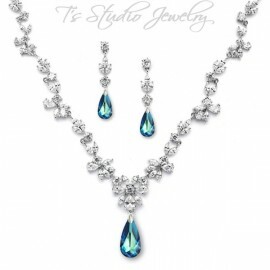 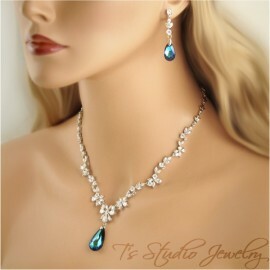 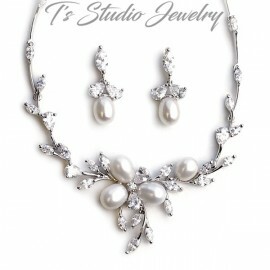 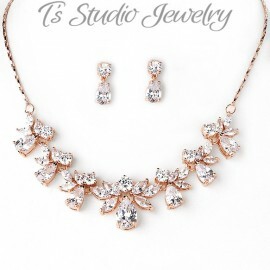 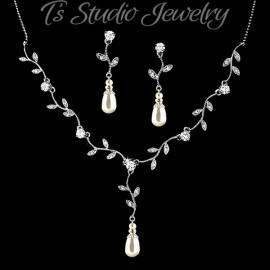 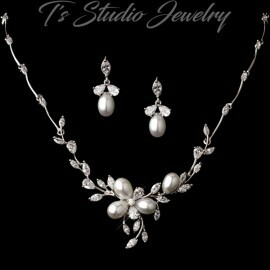 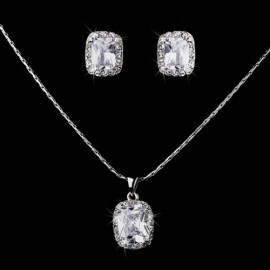 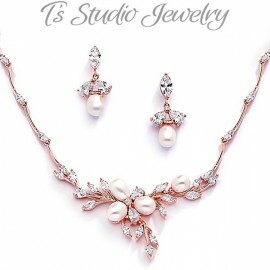 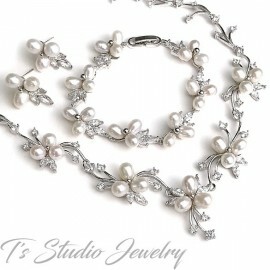 This beautiful Cubic Zirconia encrusted necklace and earring set has a lovely floral design. 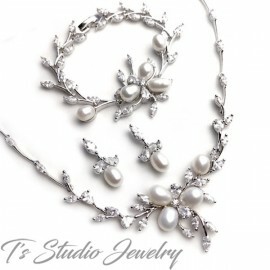 Feminine and elegant, it is the perfect accessory for your special day. 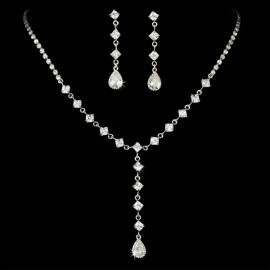 Necklace measures 16'', with a 1.5'' drop.